This is one of the patterns in the Need An Accessory? book. 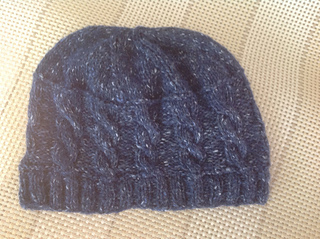 Hat can be knit in any yarn from sock weight to chunky weight. Choose one of the 10 stitch patterns available.